Constance is happy to see the walrus boys are back! 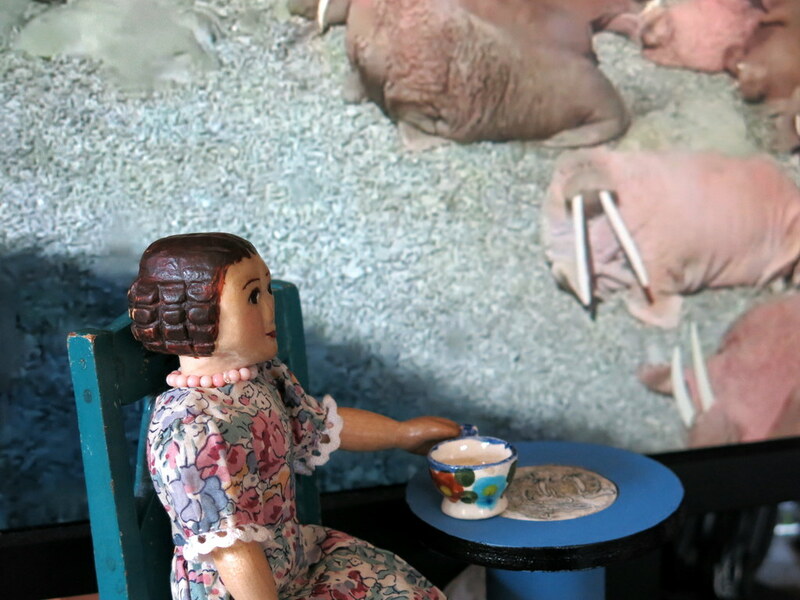 …but for some reason Constance is still the only die-hard Hitty fan of walrus-watching in this household. 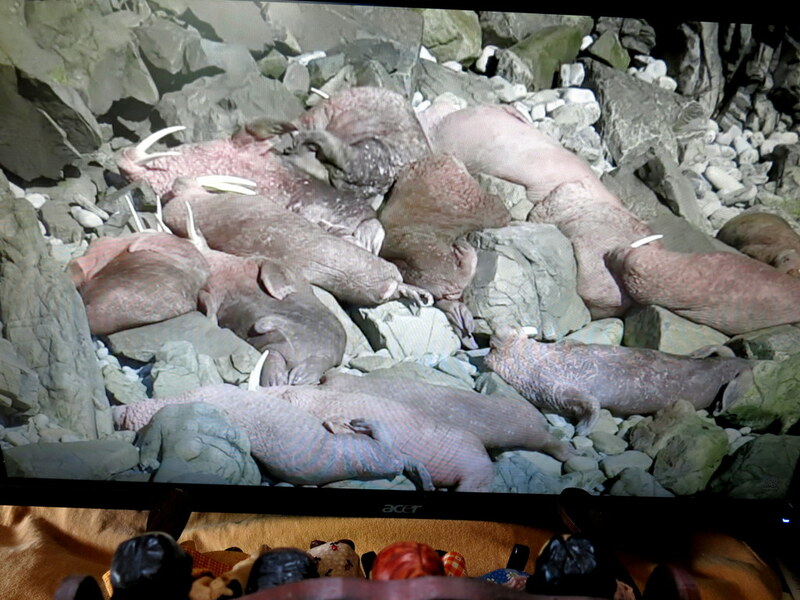 Click here to see the Round Island Walrus Live Camera for yourself, but beware of becoming a walrus-watching addict. Everyone needs a hobby, and walrus watching is a good one! 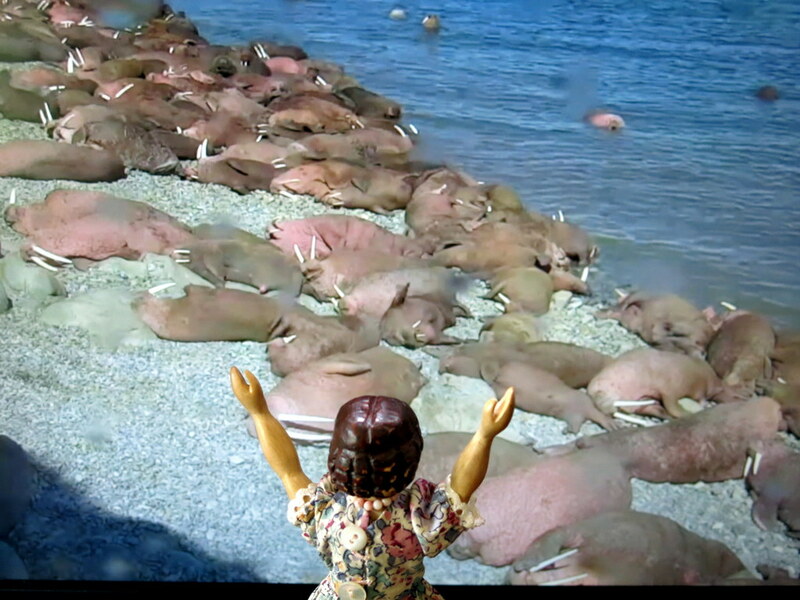 Walrus-watching is a harmless activity – also educational and not messy. Constance likes the zen of it, though the others find it boring. Oh Boy…now I won’t rest until I find out all of the answers to these questions. I still smile when I think about the twins in their walrus sleeping bags. The twins adore their walrus beach blanket/sleeping bags…they are snuggled in them right this minute, sleeping off another adventure in the cupboard! They think walruses have a good life, at least in the summer! quite obviously it must be an acquired taste. Constance is a HItty of discernment and far reaching curiosity. very scholarly. The Country Hittys are quite impressed with her. and yes I too recall the block twins pretending to be walrus babies in their sleeping bags. You are right about it being an acquired taste. 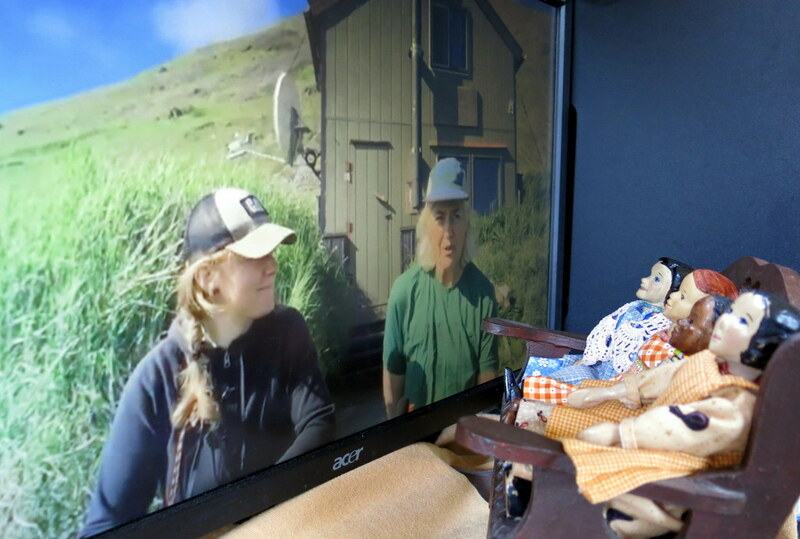 Constance enjoys looking at what the weather is like in Alaska, and learning about sea-ice and walrus tusks…a little escape from the Hitty Cupboard routine.